T-Mobile and Sprint have both been patiently waiting for the regulatory approval for their proposed merger. But even though it has been taking some time for a decision to come out, the two companies continue to serve their customers and plan ahead for the success of the company. 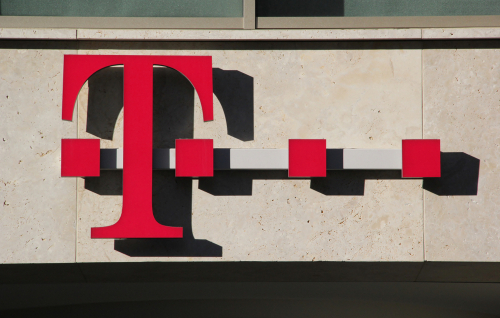 One of the actions recently made by T-Mobile is to undergo an amended employment contract with its current CFO, Braxton Carter. The agreement shows that Carter will be leaving his position as the finance chief of T-Mobile, whether or not the proposed merger pushes through. In a regulatory filing with the Securities and Exchange Commission (SEC), the company shared that Carter’s last day with the company will be decided by the merger’s condition. There are three fixed dates given that could potentially be Carter’s last day with T-Mobile. These dates include December 31, 2019; 20 days after the merged company’s first quarterly filing; or 20 days after the proposed merger is announced to be off. T-Mobile’s decision to drop Carter from the company does not come as a surprise for analysts. Back in September, there was some speculation about this departure, especially when Sunit Patel was announced to lead T-Mobile’s integration with Sprint. Patel has worked as CenturyLink Inc.’s CFO prior to his new employment. Carter has been a key figure in the company’s deal to purchase Sprint. He joined T-Mobile as CFO in April 2013, when MetroPCS merged with T-Mobile. Prior to this role, he was the CFO of MetroPCS since March 2005. A T-Mobile spokeswoman declined to comment on whether or not the company has chosen a successor. Poor Braxton gets no comments? See, the merger is creating jobs already! I’m looking for headline about 600mhz launching….those are the headlines I am looking for, it’s April 2019. Wait another year or more, until all the the TV stations finish giving up their bandwidth. Well… I live in the Houston area, so that is why I am interested in phase 2, which includes Houston. Half of all the phases are this year, I think that is a good thing. So long as Houston, east Houston, Galveston, the Gulf region gets covered sooner, rather than later….Ill I be happy. I looked through all 10 phases, and I cantc find when Las Vegas is getting 600mhz, T-Mobile did get nationwide licenses, right? Things weren’t looking so good for Braxton since he was asked to move his office down next to the boiler room in Newport 2. All whining aside, officially & in theory doesn’t equal in practice and widespread. Go to the part that gives you the dates the remaining stations have until to give up their 600 bands. Neighborhood rats might enjoy getting lit up early, but most normal people who travel around won’t care for hit or miss.